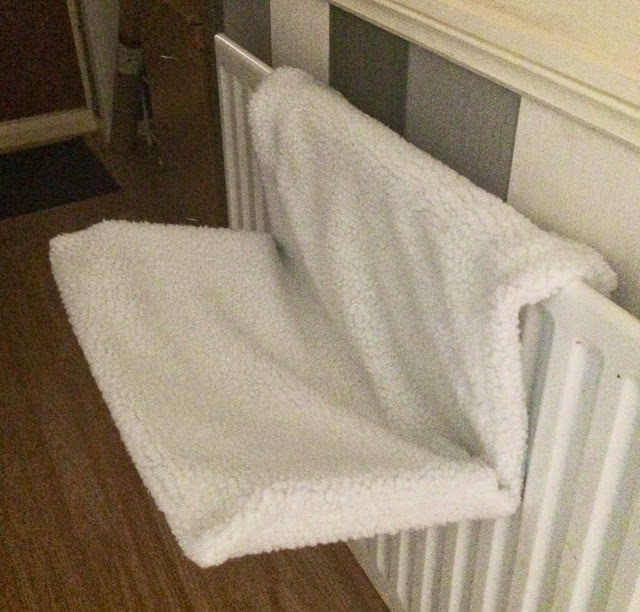 As the cold nights are drawing in i thought maybe its time to get my cats a couple of radiator beds for them to lay on as its starting to get cold. Once we do eventually put the heating on they will be nice and warm for them. They normally lay on our bed and sofa but we have had enough of hoovering them off every 5 minutes when they are on them, So we got them their own beds. we got them 2 for now to see how they get on with them. We keep introducing them, so far sooty’s the only one that has took to it, he keeps putting his scent in one of them so he know it’s his. This is what the bed looks like outside of the box. There are two hooks either end holding it so it attaches itself other the radiator so it don’t fall down while they are on it. Sooty my black cat managed to go on it in the end the other two are yet to go sleep on it, fingers crossed.